A day of music, drinking and buying beautiful artwork! The best of Bristol all in one place, and it's all in aid of Temwa! 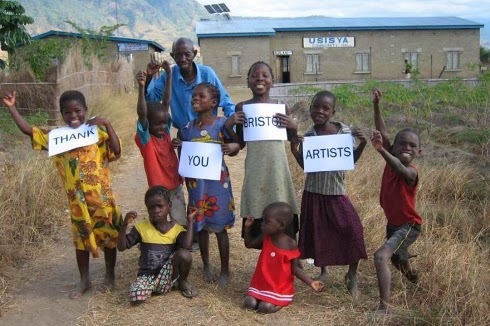 Art for Africa has become an annual Bristol event run by the charity Temwa - it's a little auction with a difference! Over the past 10 years the event has grown from strength to strength, and this year will be bigger and better than ever! Temwa has been supported by a wealth of talented artists and musicians since its conception. This will be the 10th Art Exhibition for Temwa since, their first a the Tobacco Factory in 2003. Even more of a reason to come down and buy some art, Happy 10th Birthday!